Will Coaching Help ME and What Does a Life Coach Do? While life coaching can be beneficial for many people, the clients who see the greatest results are those who are highly-motivated to live their best life. What’s common among coaching clients is that they have an inner drive and a commitment to know themselves better, to become more aware of themselves, how they show up in the world, and how they influence others. They are willing to work on themselves to have a life of greater freedom and a positive impact in the world. Not all coaches are the same, nor do they work in the same way. It’s important for you to learn about your coach, read their website, and have a chance to talk to them to be sure you feel comfortable before you begin working together. When you work with me as your Life Coach, I will DISCOVER what’s beneath the surface and uncover what’s not so obvious through questions, listening and intuitive understanding. You will feel seen, heard, and known. This alone often creates huge insights. I will teach you new ways of interpreting and responding to life so that you can LEARN to control how you feel in response to whatever is happening in your life. I will also guide you to IMPLEMENT specific tactics and strategies immediately and will provide feedback in real-time. What you learn will be more than just theory; you’ll learn real-life application of the concepts – with steps you can take that day. Ultimately, I’ll help you to LIVE more powerfully and be more true to yourself. What ends up happening is that you’ll experience more joy, peace and freedom in your life. 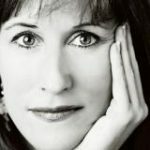 Elise Fee is a Consulting Hypnotist, Life Mentor and Writer. She is also a Life Expansion Coach who works one on one with people who are searching for betterment in their lives. Is it your SITUATION that needs to change, or is it YOU? Take the next step and connect with Elise, then watch how you and your life unfold with more ease.